Home > 000111 > Moving From Blogger? Or not really? Moving From Blogger? Or not really? 2. That is one great scanner, under $500, 50 pages (25 sheets) a minute, nearly bullet proof, and bundled with Adobe Acrobat Standard X. 3. The Lawyerist contains such tips and much more. It is nationally know and full of resources. 4. I love to share helpful information. My blog WV Lawyer – Tips and Techniques, www.burtonhunteresq2.com is much smaller in scope. It also is written for colleagues, although I am happy to have potential clients check that blog out too in order to see if I know my stuff. I love to share the things I have learned. If I give away a few “secrets”, maybe it will improve my ability to work with my adversaries. 5. My original, and much more active blog is “Perspectives of a Small Town Lawyer, www.burtonhunteresq.blogspot.com . It has 150 articles, and covers a broad range of legal topics helpful to the potential client and most West Virginians. 6. When I started, I found Blogger to be a much simpler platform to master. WordPress has comprehensive features. I even bought a book on WordPress, but my first article was posted to Blogger, and I have not looked back. 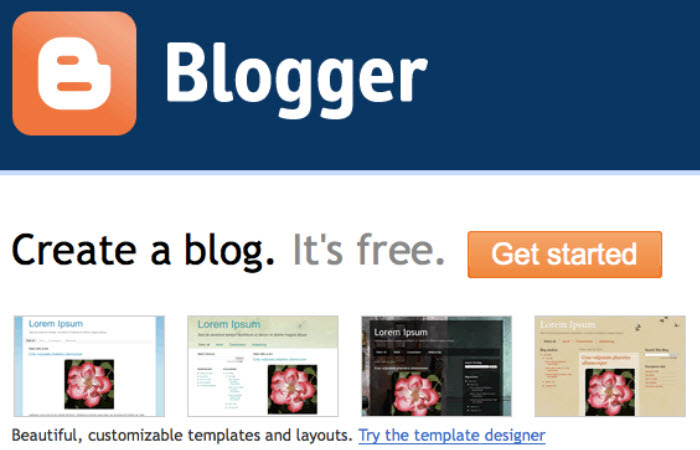 Shortly after I started, Google purchased Blogger. It has continued to add features. 7. If you Google “J. Burton Hunter III”, (Go ahead, I can wait. ), the first entries you will see, after the paid Google “people finder” advertisements, are not links to my blogs. They are links to www.hunterlawfirm.net , my professional website. 8. I hope you will check out this site. I am proud of it. But, I have criticised it in some of my posts. It is not cheap. West/Thomson, after all, is the biggest company in the “lawbook industry”. And, until now, I feel my site has been too static. Even now, my staff photo is not current. (Stay Tuned.) And, the monthly newsletter, while informative, is written by a ghostwriter, NOT by me. They say most lawyers are too busy to write their own stuff. 9. There is a BIG RED button on my professional site’s first page to each of my blogs. But that’s about it. The rest of the content has been there for awhile. 10. Last month, I took a leap of faith. I am permitting my Findlaw site to host a blog for me also. 11. My sales rep, Jamie, called to advise that Findlaw now hosts a blog platform of its own. She assured me it is “just as easy as Blogger”, and it links all the jucy content of my blogs to the power of the Findlaw site. It seems that as wonderful as my blogs are, they just are not that visible to web searches. 12. At first I had hoped that my Blogger blogs would simply link to Findlaw. It is not that simple. I appears I will have to write or post my articles to the Findlaw site in order to use its power. 13. Jamie has shown me my Blogger posts can be copied to www.hunterlawfirm.net. 14. For the foreseeable future, I will keep the both of my blogs at the same location, but, during my working vacation later in February, I will be experimenting, writing, copying, and learning. I may reorder my articles and work on the table of contents and search features. He who does not change and adapt, especially to the Internet, is doomed to fall behind. 15. For now, if you have subscribed to www.burtonhunteresq.blogspot.com and www.burtonhunteresq2.blogspot.com , you will be fine. You will receive an e-mail of each post soon after I post it. But you may want to visit www.hunterlawfirm.net and subscribe to my blog(s) there too. 16. Only when I am convinced I have all the benefits of Blogger AND Findlaw will I move entirely to the new platform. 17. As always, your questions, suggestions, and feedback will be appreciated.